Greetings, friends, and happy Cinco de Mayo. There are lots of fiesta-worthy dishes I could have made and posted today–enchiladas, tostadas, or one of my many varieties of guac. Instead, I’m taking an oblique route and offering you this lovely quinoa salad. It’s not a traditional Cinco de Mayo dish, but it does incorporate some heat (chili, jalapeno) and some cumin, both of which evoke Mexican cooking. 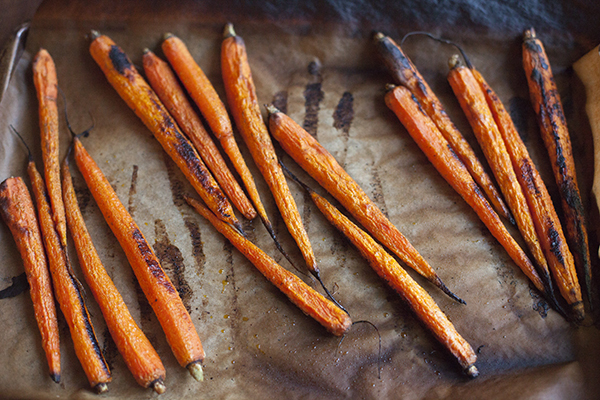 It also features these gorgeous, cumin-dusted roasted carrots, which are delicious enough to be worthy of a post. My favorite part of this dish is, not surprisingly, the carrot chili vinaigrette. 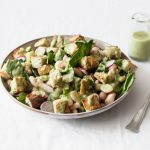 I’m a dressing fanatic (I may have more flair for dressing than any other type of recipe), and for me, dressing makes or breaks a salad. This dressing is a keeper. It’s got it all: saltiness, sweetness, and plenty of spice. 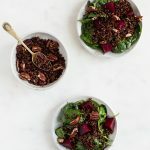 It brings the whole salad together, highlighting the sweet roasted carrots and brightening up the nutty quinoa. 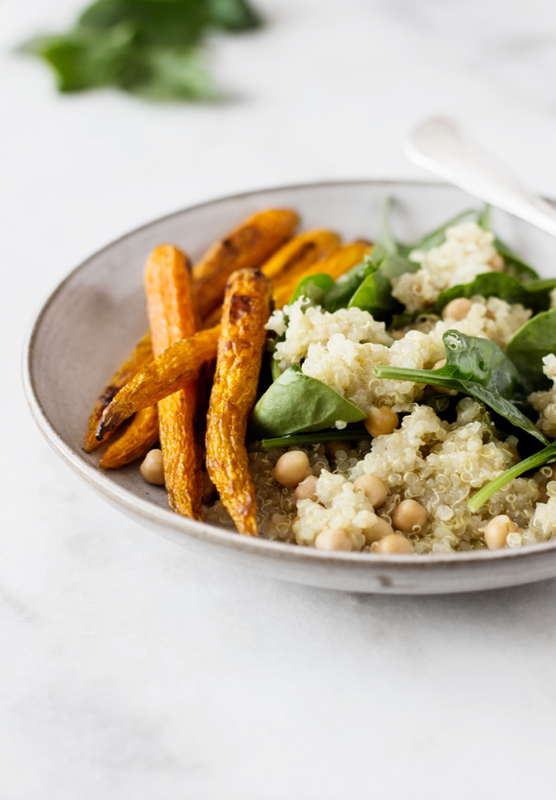 For the greens in this salad, you could use spinach, arugula, or even mizuna. I stuck with spinach because it’s in season right now and because there’s usually a bunch of it hanging out in my fridge, but feel free to use your imagination. Romaine would work very nicely, too. 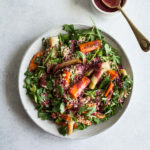 I do so love the roasted carrots in this recipe, but you can make a shortcut version of the salad on any busy night by replacing them with a cup or two of raw, grated carrots in the salad instead. 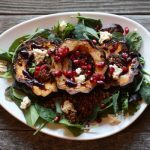 It’ll be a delicious and slightly more streamlined version of the salad. I’m personally happy that I made enough of this dish to give me lunch leftovers today. Steven knows that I tend to be conservative with heat in my cooking, and he told me last night that he loved the kick in the quinoa, which I took to be a good compliment. And a sign that I’m becoming just a little more adventurous with my food. I hope you all enjoy the dish–maybe with an ice cold drink and a nice bowl of guac and veggies. Happy May 5th, friends, and I’ll be back soon. You know your way around a carrot! I’m drooling all over the place! 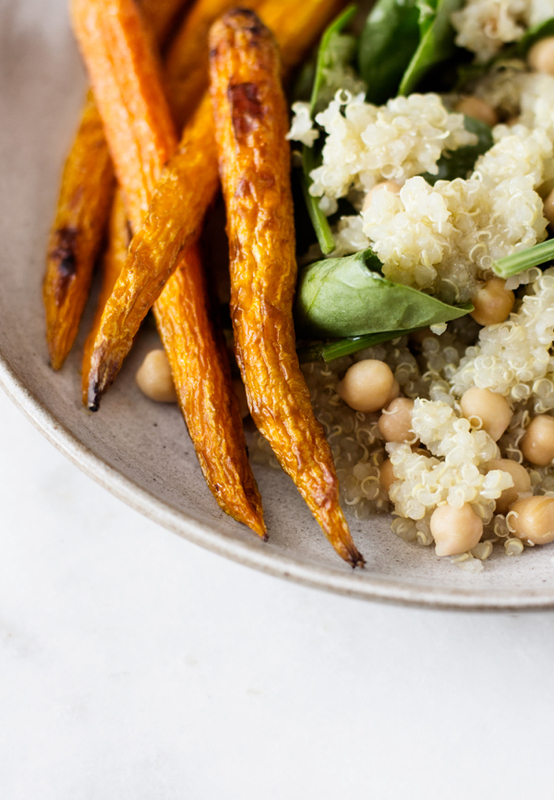 Carrot, chickpeas, and quinoa? Count me in! This looks delicious. 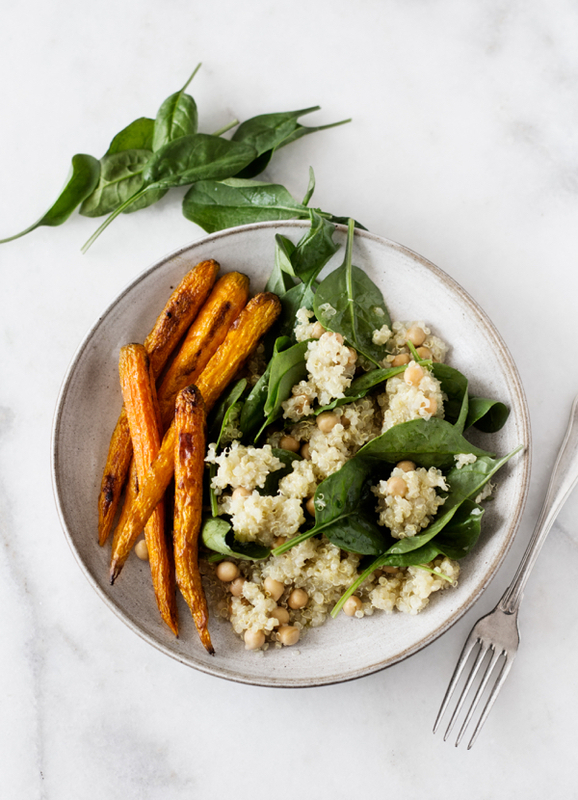 The carrot chili dressing sounds absolutely divine! And those roasted carrots look amazing, too. 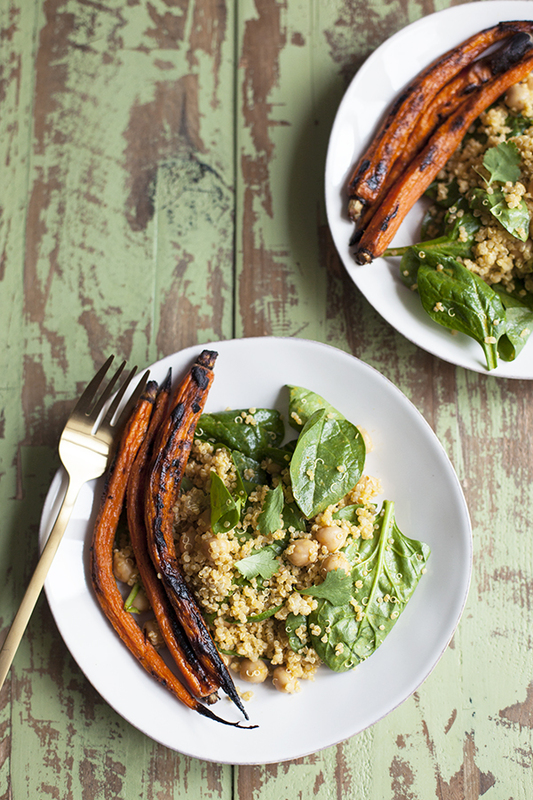 Can’t go wrong with perfectly roasted carrots! another good use for left over roasted carrot:) thanks! The dressing with carrot juice sounds great! Love the use of the different ingredients in it… must try it soon…. I love the sound of that dressing! I’ve been using carrot juice in smoothies lately — à la Julie Morris — but in a dressing is a new thing for me. Such a lovely plate, sounds amazing. Thanks! What could you use in place of dates? They are not available in my area. For this recipe did you buy a carrot juice from the store? I can actually make carrot juice in my kitchen so can I use my own instead for this recipe? I try to avoid store bought juices because they’re loaded with sugar and preservatives. Looking forward to making this tonight..sounds so good! (as always).